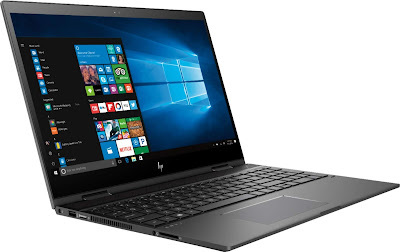 Being Frugal and Making It Work: Save $100 on the HP Envy x360 Laptop at Best Buy! Save $100 on the HP Envy x360 Laptop at Best Buy! 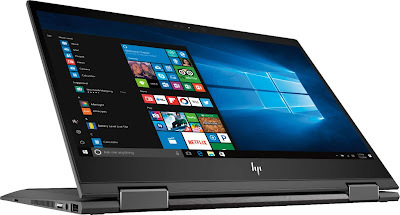 Have you heard about the HP Envy x360 laptop? They are a 2-in-1 device that can transfer from a laptop to a tablet in just seconds. They have a touch-screen that come with Windows Ink capabilities and a Windows operating system. Fun fact: you can write on the screen with your stylus. How cool is that? Their AMD processors make them super fast and really thin so you can take them with you anywhere you go! Get it now thru 7/28 and SAVE $100 at BestBuy. This versatile HP Envy laptop comes in two sizes: 13" and 15" to suite your specific needs. **As part of the Best Buy Blogger program, I will receive a Best Buy gift card for sharing this information. It's cool, I'll definitely buy it myself. What a nice post! You blog about fascinating things. Just in case you need the list of book review essay topics, contact me. I can share it with you free of charge.